Windham Ww-15 7.62x39 SRC SA 16"
Windham Weaponry's SRC (Sight Ready Carbine) features a chrome-lined 16" 4150 chrome moly vanadium steel barrel. The 7075 T6 aircraft aluminum receiver sports a durable black hardcoat anodized finish. 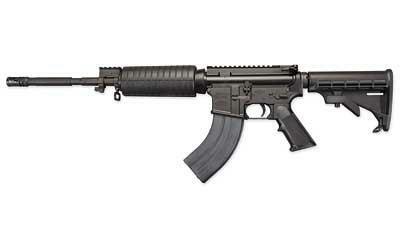 The rifle features an aluminum trigger guard, M4 double heatshield handguards, A2 Black plastic grip and is optic ready. This version is chambered in 7.62x39mm and has a 30+1 capacity.